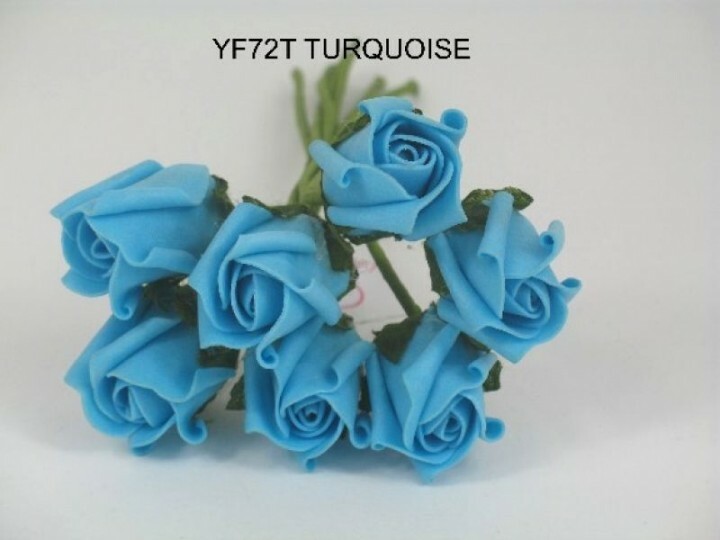 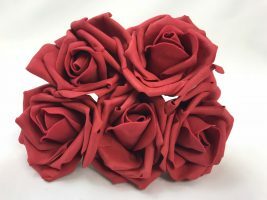 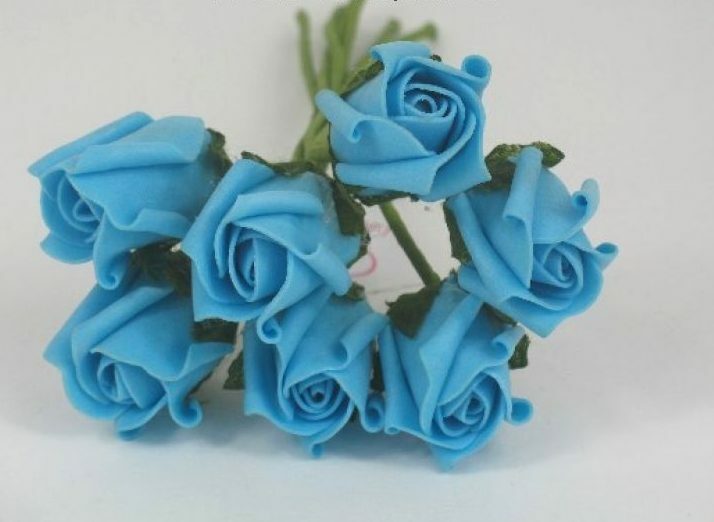 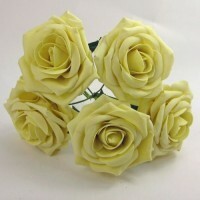 A bunch of Rosebuds in Colourfast foam by Bridalcraft. 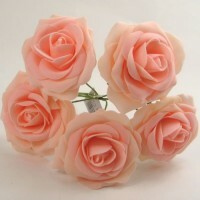 The Rosebuds are approx 3 CM across and you get 8 flower heads on a bunch. 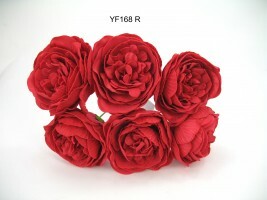 The total length of the stems are 24 CM.